Ever had a brilliant idea and dream of establishing a business locally based on it? 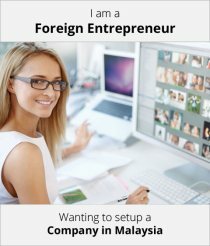 For most people, however, the thought of starting a business can be daunting. We at Paul Hype Page & Co. offer services that extend beyond the traditional consulting or accounting firm. We help with incorporation and relocation in the initial stage of your business, and offer tax and secretarial services as your business grows. Find out more on the Setting Up SDN BHD company Procedure to establish a private limited company in Malaysia with Paul Hype Page & Co. qualified and professional corporate consultants. Registration of company’s tax file is the responsibility of the individual who managing and operating the company. Where a company commenced operations; they need to apply for registration of a tax file. Certain industries in Malaysia require special business license for companies to operate in. Transport Car Rental and Vehicle Leasing License. Approval of licenses for business incorporation in Malaysia is subjective in nature. It is contingent on the degree of participation of Malaysian residents and nationals in the company at the Directorship, Shareholder or other paid-up capital contributors’ level. One of the most common trade licenses required by foreigners in Malaysia is the Wholesale, Retail Trade (WRT) License. The license applies to non-resident companies with 100% foreign ownership seeking permission to engage in retail, restaurant, trading, franchise, import, and exporting and consultancy activities. Other types of business licenses in Malaysia include those issued by the Malaysian Local Town Councils, e.g. the MPAJ, the DKBL and the Fire Brigade Departments. 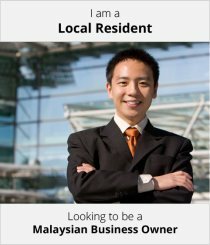 For foreigners looking to set up retail stores and restaurants in Malaysia, such local council licenses are required. Depending on the type of license applied for, the approval time ranges from 1 month to 6 months. In most of the cases, the concerned ministry or government department conducts a thorough inspection of all documents, records and the premises of the building. Once satisfied, the ministry shall issue the relevant license.